In commemoration of the 49th anniversary of the assassination of Malcolm X, we repost this review by Eugene Puryear, originally published June 11, 2011. The review has also been published in the volume “A Lie of Reinvention: correcting Manning Marable’s Malcolm X,” edited by Jared Ball and Todd Burroughs. In the years since his death, El-Hajj Malik Shabazz, Malcolm X, has become recognized as more than simply a Black leader, but a world-historic figure. For millions, he is a symbol of dignity, strength, militancy and self-determination. The incisive prose of his autobiography, in particular, is imprinted on millions of minds across the world as an incredible story of personal and political transformation. What Malcolm was transforming into has remained, however, the subject of enormous debate. Political forces from the socialist left all the way to the leader of the Republican National Committee now claim his legacy. The late Manning Marable’s new biography promised to unveil new details and dimensions of Malcolm’s life, helping us understand more fully where he was coming from, and ultimately, where he was going. Marable repeatedly points out how the autobiography was part fact and part “fictive,” constructed by the political and personal agendas of Alex Haley, a Republican, and Malcolm, who emphasized different aspects of his life as his political world changed. Marable in particular brings our attention to Malcolm’s frequent and growing connections to both global Islam and the anti-colonial movements of Africa. But, as an analytical work, Marable’s biography fails to deal adequately with Malcolm’s political influences, his ideological development and his evolving strategy for Black liberation. For those who consider these the most critical questions and have been attracted to Malcolm as a symbol of revolution, they are likely to be disappointed. Several reviews have demonstrated Marable’s uneven research and accused him of irresponsibly resorting to conjecture when making provocative, and sometimes scandalous, claims about Malcolm’s personal life. While there is certainly far more to be said, this review deals instead with Marable’s failure to adequately frame Malcolm and the overall Black freedom struggle. As such, while he constantly hints at various themes, he often develops ideas and concepts haphazardly. The discussion never reaches its potential, however, as Marable uses the “trickster” theme in conflicting ways. The decidedly negative undertone to this discussion ignores the complexity of the folkloric “tricksters” like Br’er Rabbit, whose deceptions were celebrated as a strategy to outwit the oppressor. Rather than consistently situating Malcolm X within the broader Black cultural experience, Marable substitutes an eclectic and unfocused approach. The book fails to give a clear assessment of Malcolm in large part because it fails to adequately frame the movement of which he was a part. Marable’s discussions of the Civil Rights Movement are often quite shallow and confusing. For one, Marable’s constant use of the term “integrationist” substitutes for serious political analysis of the civil rights leadership against which Malcolm was often set in contrast. A biography can not be expected to elaborate on all issues, but, in a book on Malcolm X, this nomenclature is of crucial importance. In worthless textbooks across the country, the Black movement is often split between the “violent separatist” Malcolm X and the “peaceful integrationist” Martin Luther King Jr. But these terms do not allow us to make sense of the evolving Civil Rights Movement and its swirling debates. The term “integrationist” is often used to give the false impression that such activists were concerned principally about intermingling with whites. Undoubtedly, many African Americans saw in integration the promise of a better world, where racism would be eliminated and society as a whole would grow. But integration was fundamentally a strategy aimed at winning Black communities equal access to the services and opportunities offered to whites. It was an effort to make the United States fulfill its promise of equality before the law. A century earlier, many Black abolitionists advocated for “social equality”—that people should be able to form relationships across racial lines—but was the upshot of their struggle that they wanted to consort with whites? Hardly. 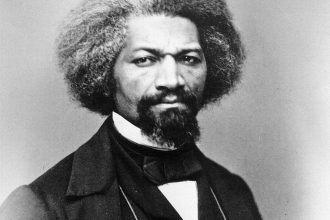 The crux of their politics was that they were engaged in a righteous struggle against slavery. While Marable clearly favors “integrationism” as a political strategy, he simultaneously implies that these activists were less concerned with Black pride. This is the false framework that textbooks have used to sanitize civil rights workers’ Black consciousness and sense of obligation to their community. It also, ironically, mirrors the analysis put forward by the Nation of Islam in the 1950s, which equated anything short of its separatist program to be a betrayal of the Black community. Marable is clearly not partial to the Nation of Islam, however. His references to the NOI as a “cult” and its leader Elijah Muhammad as a “young gigolo” betray his thinly disguised contempt for the organization. Unfortunately, thousands of readers will walk away from the book knowing all the details of the group’s underside without a clear understanding of its historical significance. The Nation of Islam tapped into the awakening national consciousness of the African American community in the 1950s. Organized along capitalist lines, it was also a self-help organization whose day-to-day activities shared much in common with other ethnic-based organizations that served migrant and immigrant communities in other periods of U.S. history. The NOI’s program of creating a self-contained economic community was no idle chatter, as they set up a complex and sophisticated set of business enterprises. The message of Black capitalism­—“buy Black,” support your own—appealed to a sector of small businesses and aspiring entrepreneurs in the Black ghettos of Northern and Western cities, which became the NOI’s main areas of strength. At the same time, their program of uplift—winning freedom and national equality without begging or bowing—touched a raw nerve among Black workers frustrated with the country’s slow pace of change. Elijah Muhammad controlled an organization of tens of thousands and revenues that ran into the tens of millions. He had thousands of completely committed warriors ready to execute any order. So why call him a “gigolo,” a most inappropriate and demeaning label? Academic historians never use such terms for the powerful, habitually philandering men in Washington like John F. Kennedy. While Marable calls the NOI a “cult,” what religious group would not fit this description, especially in its infancy? While he sneers at the NOI’s creation myth, is there a different creation myth that would qualify as being scientifically or historically accurate? Instead of evaluating different political currents solely by their rhetoric and form, revolutionary Marxists look for the roots and substance of their demands. From this perspective, the NOI’s core demand for self-determination was historically justifiable even if the means adopted for reaching the goal left something to be desired. Although the civil rights leadership stood in contradiction to Elijah Muhammad’s particular brand of separatism, his organization was part of the same Black national awakening. But political ideas cannot be assessed purely on the grounds of what is “practical” in the short term; the balance of political and social forces is always subject to change. Rustin’s pragmatic reformism, to which Marable was partial, would exclude radical and revolutionary visions of any sort. In short, it argues that activists must work to modify, not replace, the existing capitalist system. 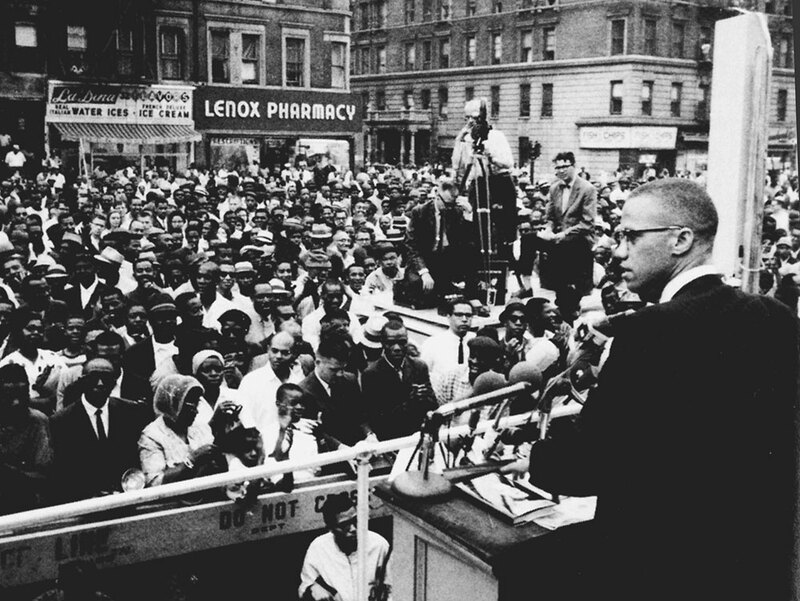 Lacking a clear exposition of both the civil rights struggle and Black nationalism, it becomes impossible to make sense of the subsequent evolution of both Malcolm and the movement. In 1964-65, the Civil Rights Movement accomplished the legal-political dismantling of Jim Crow segregation in what amounted to a political revolution. In Malcolm’s last years, he operated in a transitional period toward a full-fledged Black liberation movement. Black political forces across the spectrum turned toward the question of how to turn legal, formal equality into real social and economic equality. As Marable notes, Malcolm’s departure from the Nation of Islam was not personal, but primarily political—a point that gets somewhat lost in the book’s digressions into mosque gossip. Malcolm wanted to help give direction to the expanding movement rather than stand apart from it as the NOI mandated. In famous speeches, such as “Message to the Grassroots” and “Ballot or the Bullet,” Malcolm did not eschew politics, but suggested Black people use their voting rights to develop an alternative power base. While remaining deeply critical of the traditional civil rights leadership, he advocated for a Black united front in which various political currents could contend. He insisted on making self-defense a reality, not just a slogan, and held out the idea that a Black nationalist army might eventually form if the Black masses were not given full rights. Marable principally evaluates Malcolm, however, on the bases of separatist versus integrationist, violence versus non-violence, and revolutionary versus “practical” strategies. In each category, he suggests Malcolm moved from the former to the latter, becoming more moderate, and “implicitly” acknowledged the correctness of his long-time foes in the movement. But Malcolm’s world was different. His famous “Ballot or the Bullet” speech, which called for consideration of a “Black nationalist party,” was in step with the times. He made some of his most important speeches on this subject in Detroit, the heart of the nascent Freedom Now Party, which aimed to organize independent Black political action. Malcolm had seen the Mississippi Freedom Democratic Party turned away at Atlantic City. It was no accident or contradiction that MFDP leader Fannie Lou Hamer showed up in Harlem to hear Malcolm speak. The year Malcolm was assassinated, the Lowndes County Freedom Organization, which attempted to utilize voting rights for the purposes of self-determination, was born in Alabama. Even on theoretical terms, there is nothing inconsistent about condemning the two major parties while suggesting that Black people vote strategically. A revolutionary makes use of all tactics that advance the struggle at a particular moment, provided that this does not foster illusions in the current system. In his pamphlet “Left-Wing Communism: An Infantile Disorder,” Lenin laid out the importance of utilizing electoral tactics as a method to heighten class consciousness and push forward revolutionary politics. Far from a “glaring inconsistency,” he called it an obligation for revolutionaries participating in elections to point out how ruling-class parties cannot meet people’s needs. 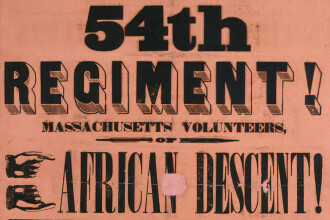 Marable details how Malcolm endorsed revolutionary violence in Africa but did not yet advocate for such a military struggle inside the United States. If this is a contradiction, as Marable suggests, he would disqualify nearly every self-proclaimed revolutionary in the United States who has not actively called for immediate armed action. As Marable notes, in his latter days, Malcolm said he no longer knew “how to define [his] particular ideology.” Rather than portray this as a drift towards liberalism, or as a period of simply confusion—as Marable does—Malcolm’s political crossroads should be put in the context of the movement. 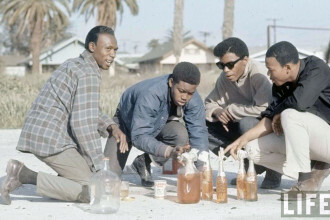 Malcolm searched for answers, looking for potential examples in Africa, questioning the legitimacy of the capitalist economic system and considering new strategies to advance the Black struggle. His last year of political development and experimentation did not leave us with a unified system of thought, but it did leave a clear spirit of resistance, militancy and defiance. An honest appraisal suggests not that Malcolm was moving toward “integrationism,” but that the “integrationists” were moving toward him. It is no accident that Malcolm’s legacy was evoked constantly when the “Black Power” slogan emerged a year after his death. The notion of “Black Power”—Black political, economic and cultural control over majority Black communities—could appeal to individuals who advocated both “integrationist” and “separatist” strategies in years prior. It could take liberal variants, stressing Black representatives in charge of existing structures. It could have its rhetorically more separatist expressions. It could also take on varied meanings for revolutionaries. Each variant shared a common frame of reference: the struggle for self-determination. This helps explain the contest over Malcolm’s political legacy, which began shortly after his death. Organizations of all types—from the Congress of Racial Equality to the cultural nationalists in the organization US, to the Black Panther Party—all saw themselves as inheritors of Malcolm’s evolving outlook. Various shades of nationalists, socialists, pan-Africanists and anarchists all lay claim to at least certain aspects of his political legacy. Liberal Democrats cited Malcolm’s influence when running for political offices that had previously only been occupied by white politicians. This again speaks to the inadequacy of setting up mutually exclusive “separatist” and “integrationist” camps; these forces overlapped and came together in complex ways. While Marable cannot have been expected to resolve all these questions, his whole discussion of Malcolm’s political trajectory is clouded by generalizations like “meaningful social change” and “transformative.” In the process, he omits the substance of Malcolm’s radicalism. Regardless of Malcolm’s organizational trajectory, he clearly asserted that, without taking on capitalism, it would be impossible to uproot various forms of oppression, racism in particular. Many can admire Malcolm’s particular traits or isolated speeches, but without a basic acceptance of these facts, one cannot lay claim to his political legacy. While Malcolm was the inspiration for a number of “Black Power” groups, it is worth considering what sort of social and economic vision he would have attached to this demand. The direct action organization CORE made the transition from what Marable calls the “integrationist” camp to “Malcolm-aligned” in 1966. By the early 1970s, however, many of these same CORE leaders had become “Nixon-aligned.” Their particular brand of “Black Power” won rhetorical, moral and material support in the halls of Congress, foundation boardrooms and corporate suites. Black liberal figures could also take on some of the symbolism and rhetoric of Black Power, but they too sought an accommodation, albeit of a different type, with U.S. monopoly capitalism. The political significance of Malcolm X is that he was the antithesis of such accommodationist thinking. He would not have accepted merely a new face to the structures of the capitalist system. Malcolm increasingly compared the plight of Black people in the United States to the anti-colonial struggles in Asia and Africa; he clearly saw that changes in leadership had been insufficient to uproot the control of the former colonizers. Malcolm’s critique of capitalism was not uncommon in his period. Even as new avenues for reform opened, the limits of capitalism created the central tension of “Black politics” between 1965 and 1975. Likewise, the revolutionaries in Africa with whom Malcolm interacted focused increasingly on economics as the pivot of the next period of struggle. They advocated a variety of programs, from “non-aligned” economics to “African socialism,” while many ultimately oriented towards industrialization in conjunction with the socialist bloc as the only path to overcome the legacies of underdevelopment. These experiences, as well as the experiences of the Vietnam War, would have undoubtedly influenced Malcolm’s political evolution. It is in these last sections that Marable most clearly stumbles. How can one forsake revolution, but also possess a “revolutionary legacy?” What definition of “revolution” is Dr. Marable using? We suspect none. As with “integrationist,” “separatist,” “race-neutral,” “Bonapartist” and a few loaded Cold War terms thrown into the text, Marable’s terms relating to “revolution” and “meaningful change” are not clearly defined and, as such, fail as analytical categories. That Malcolm “re-invented” himself is no real revelation, as this is common among all sorts of people, especially leaders navigating complex political ruptures. The takeaway for most readers, unfortunately, will be that Malcolm was evolving toward a form of liberalism or that he potentially was never a revolutionary at all. Putting aside the claims of a “definitive” biography, Marable has provided more questions than answers. Some of these questions may be irresponsible, and some confuse matters that should be crystal clear, but Marable’s biography has at least shown the need to study and debate the legacy of Malcolm X and the movements from which he sprang.